Screams and commotion took over Fort Lauderdale’s airport Monday as travelers clashed with Spirit Airlines employees and police. About 300 Spirit flights have been canceled over the past seven days leaving thousands of passengers angry. The airline says its own pilots are behind the cancellations and is suing them in federal court. Passengers across the country faced hours-long delays and flight cancellations for days. By Monday night, some travelers in Florida had enough. The front ticket counter at the Fort Lauderdale-Hollywood International Airport turned into chaos, and Broward County deputies stepped in to try to restore the peace between passengers and airline employees. Video footage shows deputies struggling with travelers. Some were pulled aside from the crowd, while others were taken to the ground and placed in handcuffs. Spirit Airlines spokesman Paul Berry said the company was “shocked and saddened” to see the events that took place at the Ft. Lauderdale airport and blamed its pilots. “These pilots have put their quest for a new contract ahead of getting customers to their destinations and the safety of their fellow Spirit Team Members,” Berry said in a statement. In a federal lawsuit, the airline says cancellations have been caused by pilot unavailability and is accusing the pilots’ union — the Airline Pilots Association, International (ALPA) — of orchestrating an unlawful slowdown. 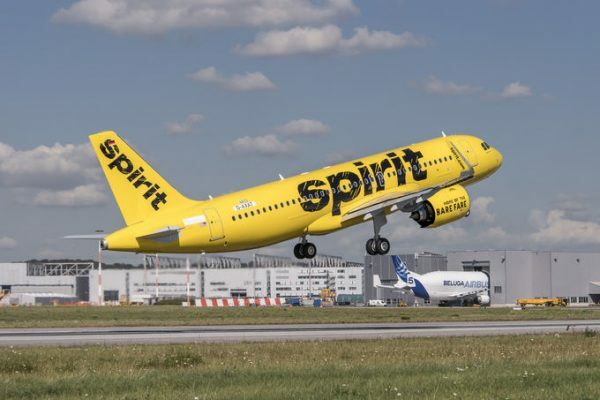 Spirit canceled 81 flights on Sunday alone, according to the lawsuit, comprising approximately 17% of the carrier’s scheduled flights for the day. They estimate that about 20,000 customers have been affected since the cancellations began last week. The ALPA denied carrying out a slowdown in a statement to CNN. “Rather, ALPA and the Spirit pilots are continuing to do everything possible to help restore the company’s operations, which have experienced significant problems over the past several days,” a spokesperson said in a statement to CNN. The airline says pilots are turning down “open time” flights and last minute assignments that would make them earn twice their pay. In the lawsuit, the airline claims union members have engaged in a campaign threatening and intimidating other pilots who accept last minute assignments. The union leaders were already anticipating legal action Friday. In a message to members, leaders said the airline believed the union was behind the shortage of pilots and encouraged them to work. “Simply put, pilots who want to pick up open time should do so and not be questioned,” the message said.